We help customers define their staffing needs through our Aviation Staffing Firm Audit so organizations fully understand industry best practices and risk concerns related to labor laws, insurance liability, FAA compliance, quality assurance and screening requirements when using contract maintenance professionals. We source candidates from our proprietary Employment Center database of aerospace professionals and extensive industry networks. We screen candidates based on client concerns and applicable airworthiness authority using our proprietary screening methodology developed through extensive aviation maintenance industry surveys and key metric tracking over the past twenty years. We mobilize each candidate through our comprehensive start-up program so they hit-the-ground-running in your facility. We monitor performance through customer feedback surveys to ensure our contract professionals deliver on your mission. Whether it’s temporary staffing, a contract-to-direct or direct hire placement, Reliance Aerotech Services has the recruiters and program managers to ensure you have the talent you need to be successful. Commercial MRO – the Team Reliance™ Group of Companies bring a depth of understanding to the staffing challenges MRO facilities face. We specialize in the hard to place maintenance disciplines including avionics, sheet metal and type/model A&P mechanics. Rotor Wing – from staffing helicopter maintenance and modification facilities to contract field and technical teams, Reliance is the leading provider of contract maintenance personnel for the Rotor Wing sector. Defense – Reliance management brings extensive military experience to our aviation staffing solutions for the defense sector. We understand military aircraft so we can find mission ready personnel. Aerospace Manufacturing – we began as a supplier of highly technical personnel for the aerospace manufacturing sector and bring over a decade of staffing expertise to the unique requirements of the manufacturing sector. Government – from NASA to NOAA, CBP and law enforcement, Reliance has experience providing aviation staffing teams to meet the requirements of demanding government aviation programs. Business Aviation – we understand the type/model requirements and short time spans of business aviation and fully leverage our Employment Center to deliver highly specialized personnel in the shortest cycle time. Reliance Aerotech Services has extensive experience providing high value aviation contract maintenance, manufacturing, engineering and logistics personnel in 40 states and 20 countries worldwide. 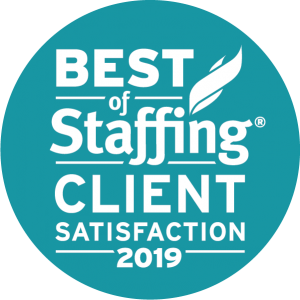 Learn more about how Reliance Aerotech Services can deliver an aviation staffing solution for your company by using our online RFQ form, emailing us at services@reliance.aero or calling us toll-free at 1-866-622-5086 and select option 1.